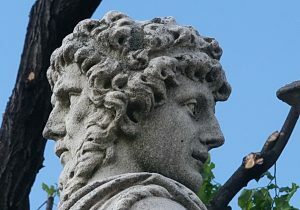 Janus – the UK government looking in two directions at once? On 26th November we will record the 10th anniversary of the Climate Change Act. The Act makes it the duty of the Secretary of State to ensure that the net UK carbon account by 2050 is at least 80% lower than the 1990 baseline, with the intention of avoiding dangerous climate change. The report of the Korea IPCC meeting, October 8th, noted that researchers say that if we fail to keep temperatures below 1.50 C we will experience some significant and dangerous changes to our world. Global sea-level will rise by an additional 10 centimetres if warming went to 20C above pre-industrial average surface temperature with some islands disappearing and many people exposed to the risks of flooding. Increased ocean temperatures and acidity would see all coral reefs dying off at 2 degrees of warming. Increased temperatures will severely limit the ability to grow crops like rice, maize and wheat. We see that both poles are melting at an accelerated rate, and the summer heat that we’ve just experienced in Europe will become a regular event. The IPCC reported that limiting global warming to 1.50C would require rapid, far-reaching and unprecedented changes in all aspects of society. There will be clear benefits to people and natural ecosystems, which could also ensure a more sustainable and equitable society. They noted that we are already seeing the consequences of 10C of global warming through more extreme weather, rising sea levels and diminishing Arctic sea ice, among other changes. They maintain that every extra bit of warming matters, especially since warming of 1.50C or higher increases the risk associated with long-lasting or irreversible changes, such as the loss of some ecosystems, and that limiting global warming would also give people and ecosystems more room to adapt and remain below relevant risk thresholds. Prompted by the IPCC report the UK Government is formally seeking guidance from the Committee on Climate Change (CCC) to move toward a future with zero emissions of greenhouse gases. This will be a very significant transformation for our economy built on burning fossil fuels. Speaking to the BBC on 15th October climate minister, Claire Perry MP, recognised the stark and sobering nature of the report. The CCC has warned the government that if new policies are not introduced, the UK will not meet its emissions targets. Such emissions cuts are needed from cars, planes, industry, waste, farming, meat consumption, and heating. However, while the Climate Secretary recognises the goals that need to be set, she is more concerned about the costs to business and industry and to the UK and global economy. She has backed the government decision to scrap solar feed-in tariffs and has defended fracking making the point that it is better to extract our own gas rather than import it from elsewhere. On 15th October 2018, working in partnership with business and civil society, the government has introduced the first ever Green GB Week – an annual week designed to highlight the opportunities clean growth offers to the UK and to raise understanding of how business and the public can contribute to tackling climate change. Yet at the beginning of this week, Monday 15th October, fracking for shale gas began at Preston New Road, which led Cat Smith, Labour MP for Lancaster and Fleetwood to comment that future generations will wonder why we did not heed climate change warnings. In addition, the government has cut support for small scale renewables, and scaled back support for electric vehicles. Housebuilders, planners and green groups have already condemned the government for scrapping plans to make all new UK homes carbon neutral. This policy and would have ensured that all new dwellings from 2016 would generate as much energy on-site through renewable sources, such as wind or solar power as they would use in heating, hot water, lighting and ventilation. This was to be supported by tighter energy efficiency standards that would come into force in 2016, and a scheme which would allow housebuilders to deliver equivalent carbon savings off site. We can note that under the Climate Change Act, we have to achieve at least an 80% reduction in the carbon emissions from our homes by 2050. We need to be building homes now that are 2050 ready. In December 2017, Theresa May was pleased to boast about the UK’s climate leadership, alongside an image of an onshore wind farm. However, the government has effectively banned onshore wind farms in England. In 2015, for fear of Conservative voters defecting to UKIP, the Conservative party pledged to end the construction of onshore wind farms, which they felt had limited public support. The result of increased planning regulations has seen a 94 per cent collapse in new planning applications for wind energy. Yet when people are surveyed hostility to wind turbines is almost unheard of in the under-45s, but the over-65s are seven times more likely to oppose onshore wind. But, we might observe that it is the under-45s who are going to be most affected by climate change. The government speaks of zero carbon by 2050, rejoices in its green agenda, and claims to be a world leader in addressing climate change. Yet approves of fracking in Lancashire, removes the legislation for building carbon zero homes, removes subsidies for wind energy and solar energy, and has placed obstacles in the development of further on shore-wind farms. Where is the logic? Where is the joined-up thinking? We will do everything we can to give you more control over your lives. When we take the big calls, we’ll think not of the powerful, but you. When we pass new laws, we’ll listen not to the mighty but to you. When it comes to taxes, we’ll prioritise not the wealthy, but you. When it comes to opportunity, we won’t entrench the advantages of the fortunate few. We will do everything we can to help anybody, whatever your background, to go as far as your talents will take you …. …. As we leave the European Union, we will forge a bold new positive role for ourselves in the world, and we will make Britain a country that works not for a privileged few, but for every one of us. For a better Britain and a better world we would do well to reflect on scripture. Genesis 1 tells us that we are created in God’s image, to act with his nature (Gen 1.26-27), and that we are called to care for creation (Gen 2.15). Our creation mandate is to praise God for his good creation and to act with God’s care and love toward our natural environment. Jesus summed up the law in terms of our relationships with God, people and creation (Matthew 22.36-40), and he calls us to turn from self-centredness to a life of cross-shaped love, following as his disciples (Mark 8.34). But renewal is always in God’s heart and will be seen in the final consummation of creation (Revelation 21.1-5). 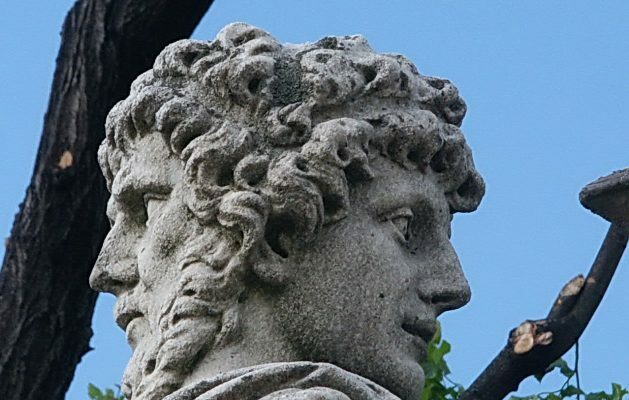 Janus or Jesus, who will our government emulate? John Weaver was born and brought up in Cardiff. After taking degrees in Geology at Swansea, he taught at the University of Derby. John trained for Baptist ministry in Oxford and was then pastor of Highfield Baptist Church from 1981-1991. From 1992-2001 he taught theology at Regent’s Park College, Oxford, and from 2001-2011 served as Principal of South Wales Baptist College. He is a former President of the Baptist Union and former Chair, now Vice President, of JRI. His main areas of research are: relating faith to life and work; theological reflection; adult education; and the dialogue between science and faith.